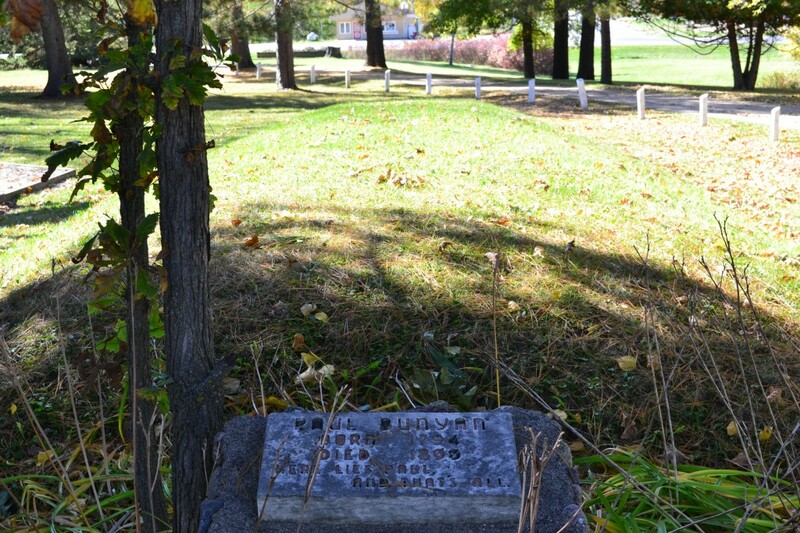 As we established last week, HighwayHighlights is home to all things Minnesota Bunyan-related. 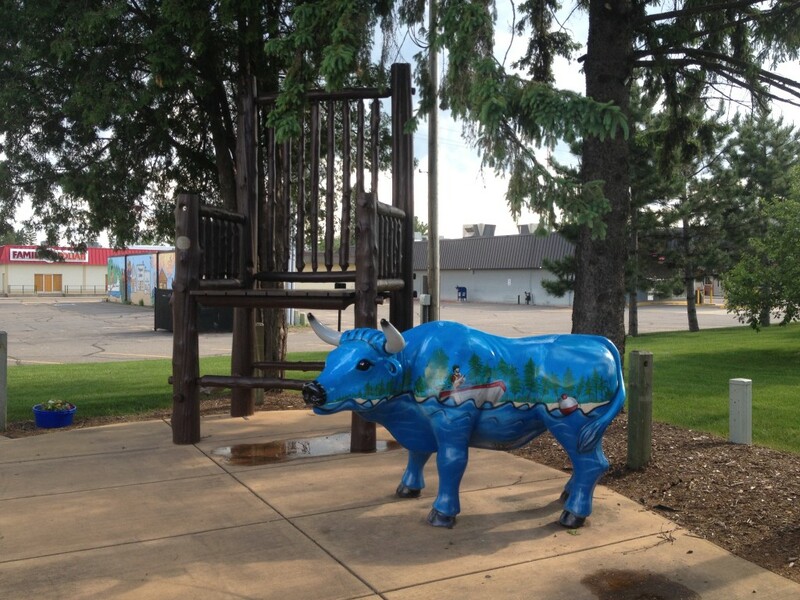 We covered the ten statues of Paul and his sidekick Babe the Blue Ox, but that is hardly the tip of the iceberg. 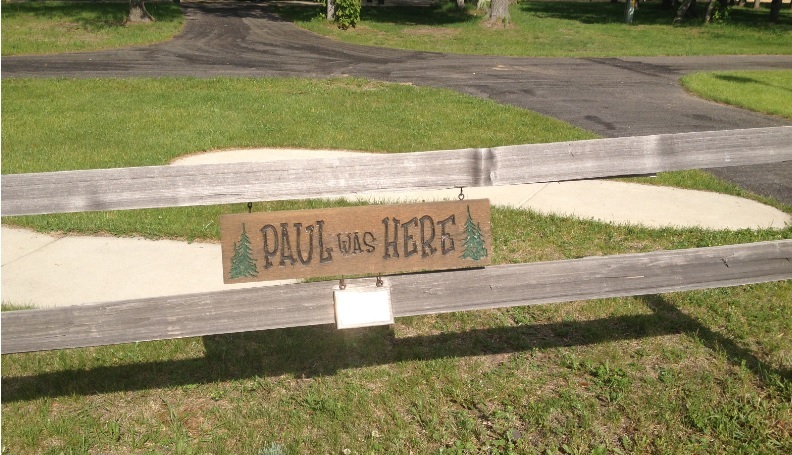 This week’s installment will focus on the places Paul has been in Minnesota and how you can find them! 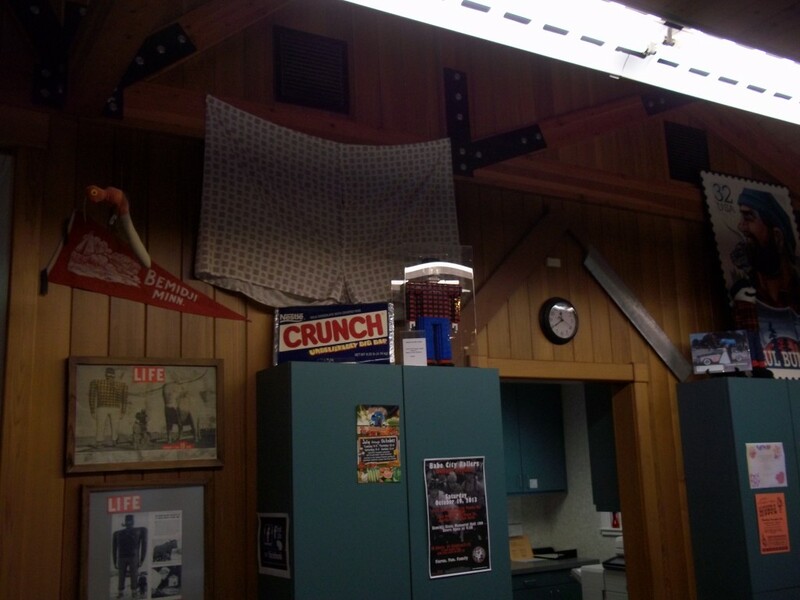 They even have Paul’s boxer shorts on the wall. 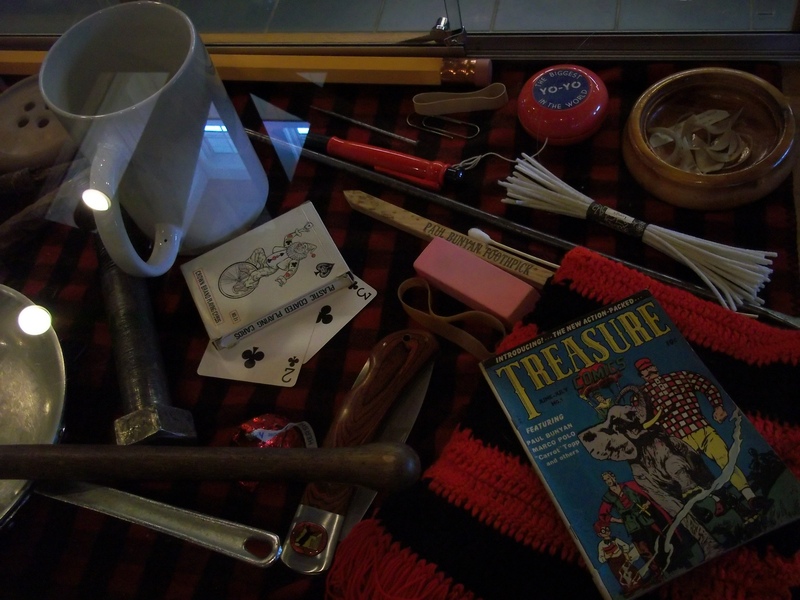 The Bemidji Visitor’s Center is a fun place to check out; the staff is always ready to jump in and show you their fine collection of Paul memorabilia. While you’re there, head across the street and buy some Paul merchandise at the local gift shop. 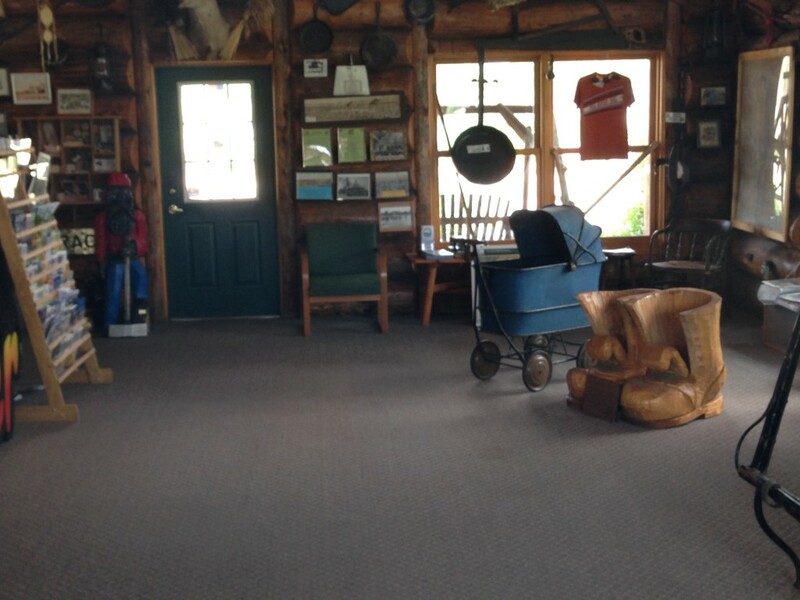 The next place you’ll want to check out is Paul’s crib in Akeley, MN, positioned right behind the Kneeling Paul Bunyan. Paul definitely was a big baby. 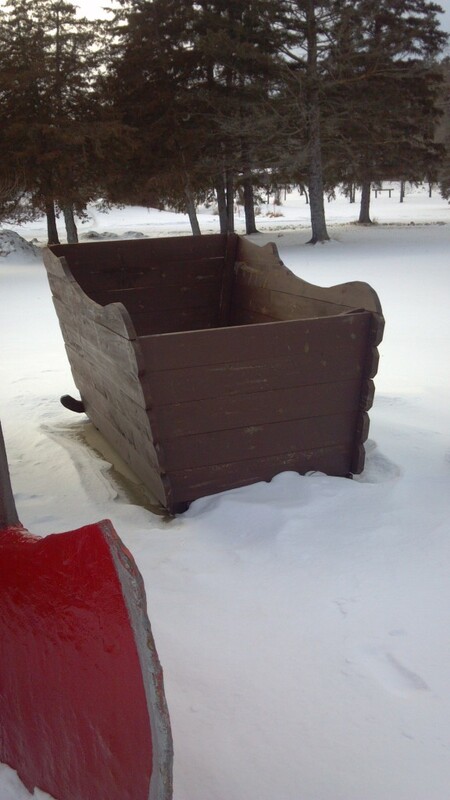 Also located behind this crib is a Paul Bunyan Museum with more artifacts as well, which I had photos of but lost in a recent computer crash. 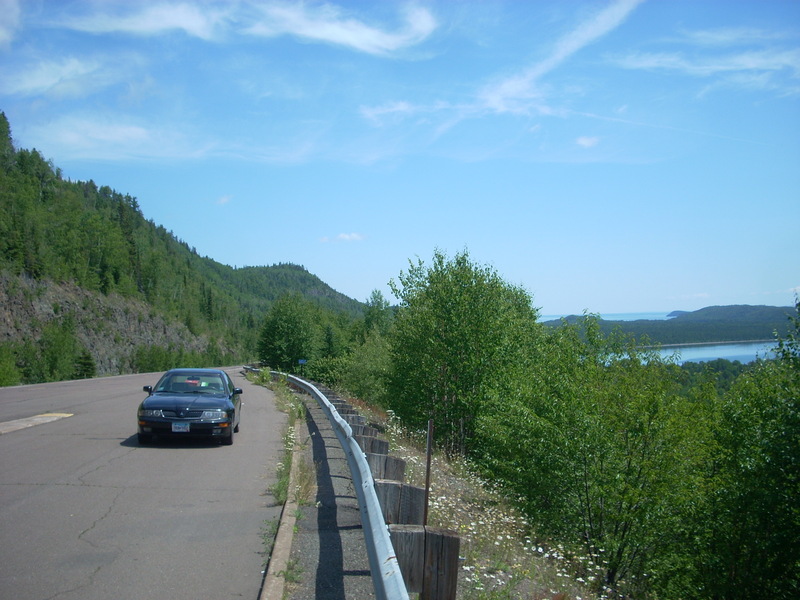 Local hotels and gas stations will have a map of the Paul Bunyan Scenic Byway, which travels in a loop around the Whitefish Chain of Lakes; there are seven stops in towns and roadside parks where large Bunyan footprints can be found (below). 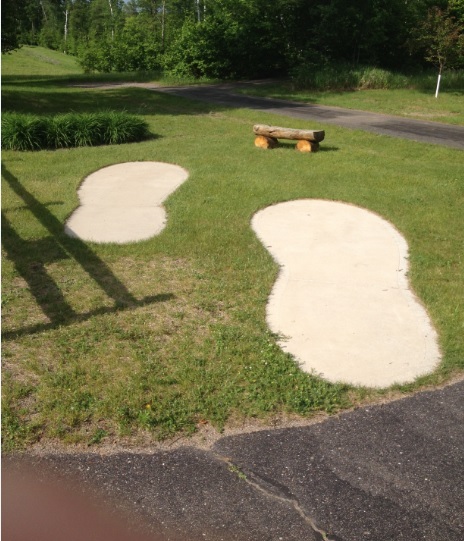 There is also a set of footprints outside of the Kohl’s department store in Baxter (near Brainerd), which is a tribute to the Paul Bunyan Land Amusement Park which once stood on the site. 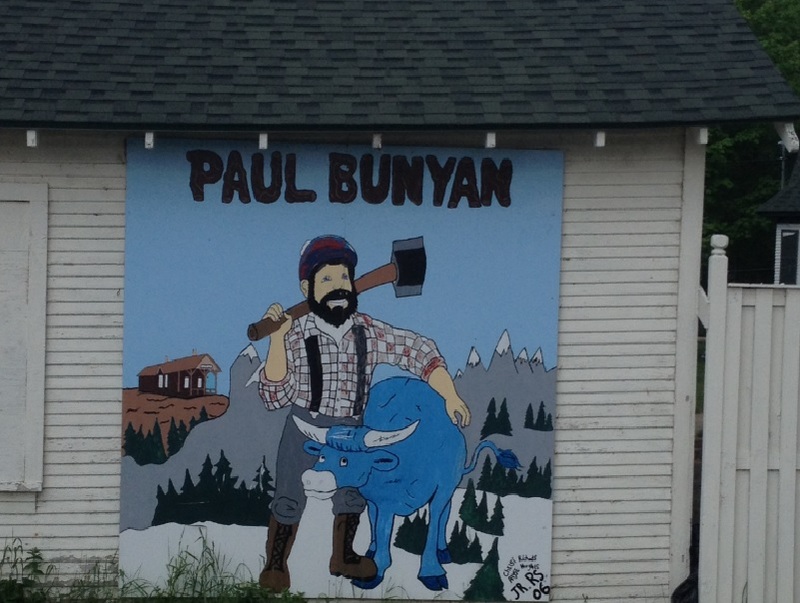 All the towns along the Paul Bunyan Scenic Byway feature something Bunyan-related. 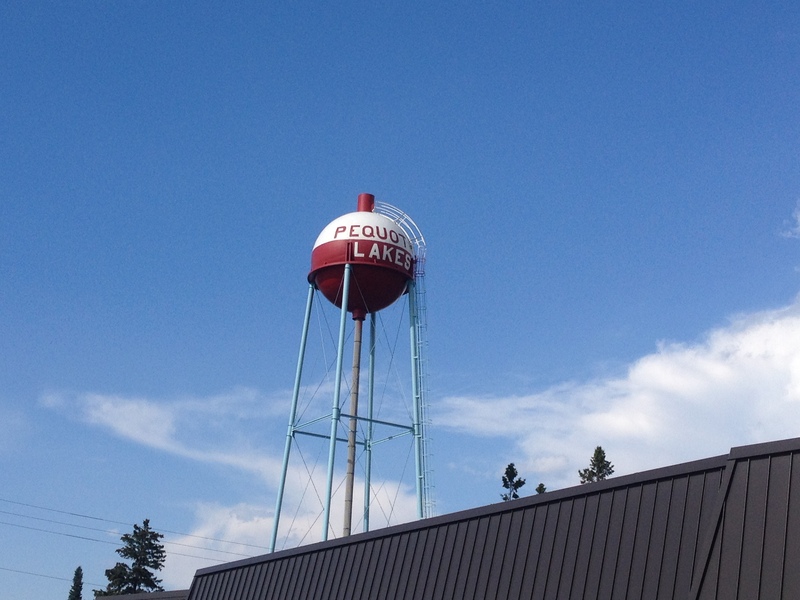 Pequot Lakes is home to Paul Bunyan’s Fishing Bobber- their water tower has been designed to look like a giant bobber. 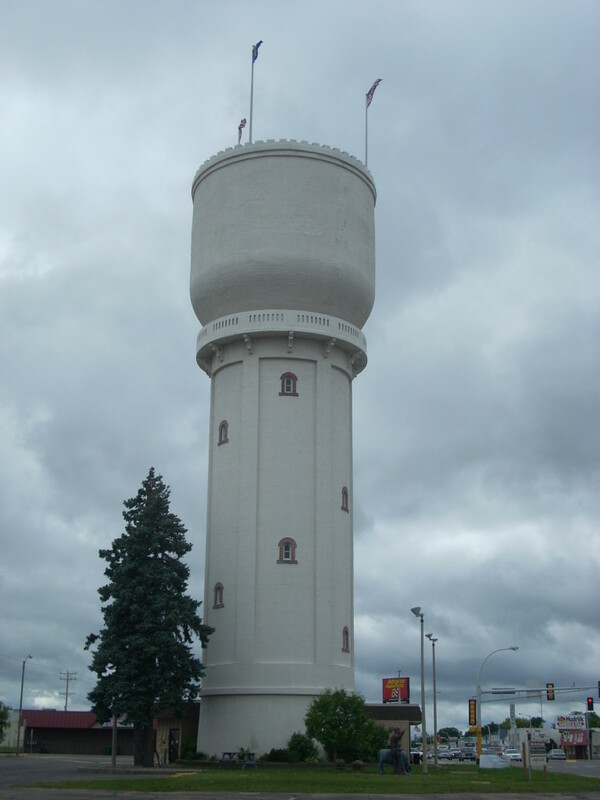 And underneath the water tower is Paul Bunyan’s Adirondack chair, alongside a small statue of Babe the Blue Ox. 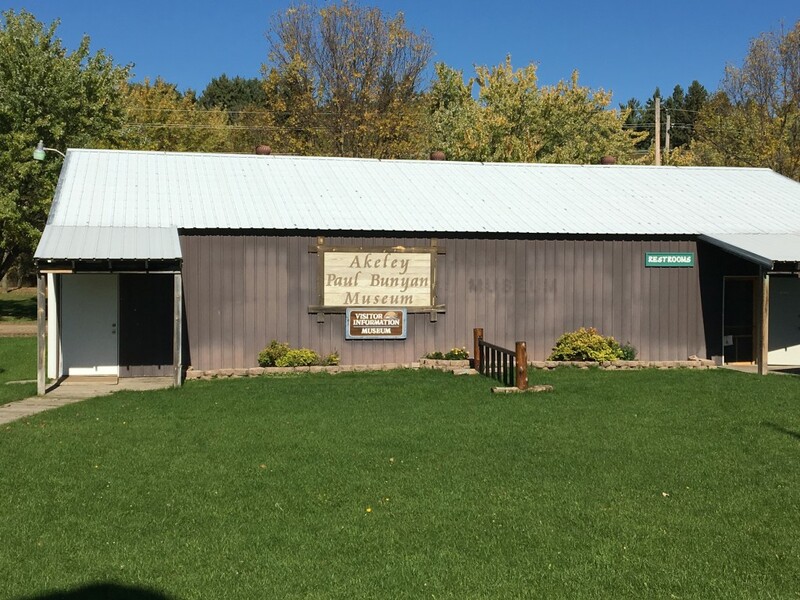 Pine River, MN, also along the Paul Bunyan Scenic Byway, features a Welcome Center with Paul Bunyan artifacts, including Paul’s “baby booties,” which are of course oversized and made of wood. In town there is also a mural of Paul and Babe. 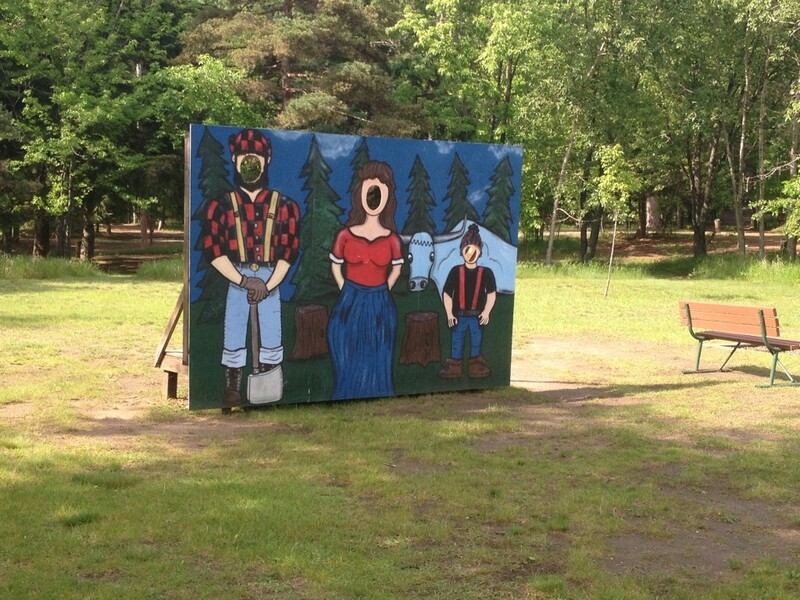 In Crosslake, you can even put your head through a hole and pose as Bunyan and friends! 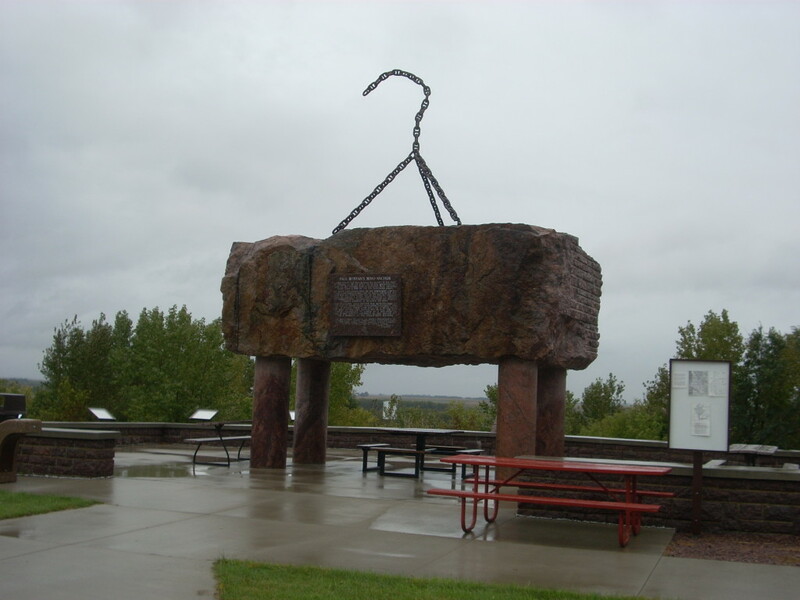 Paul Bunyan’s Boat Anchor, Ortonville, MN. 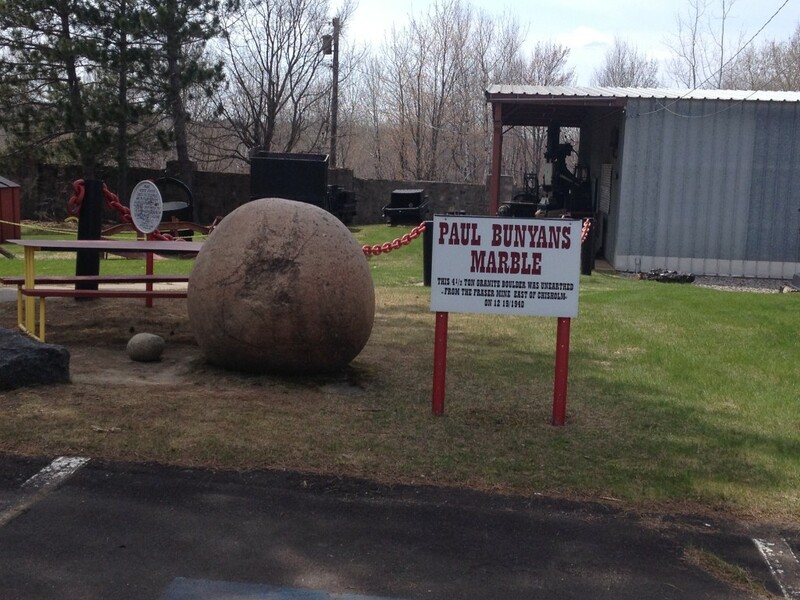 Paul Bunyan’s Marble in Chisholm, MN, at the Minnesota Museum of Mining. 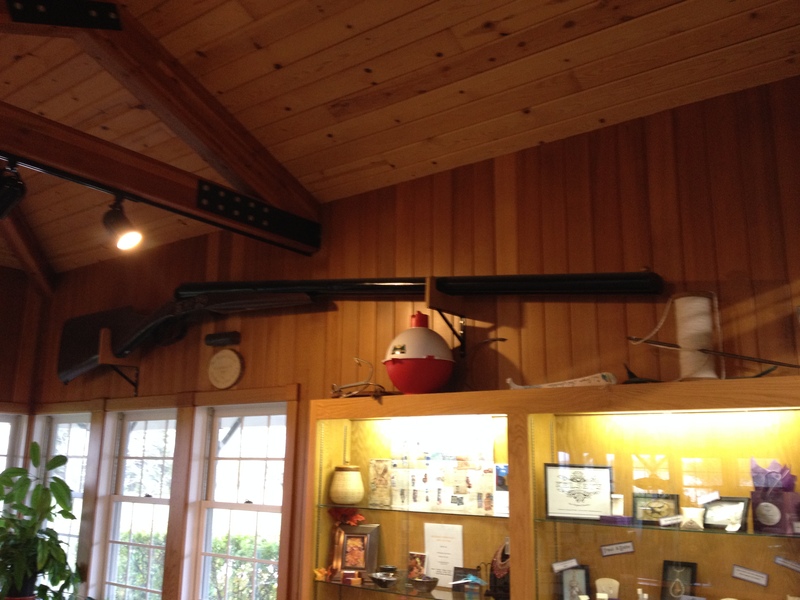 Paul Bunyan’s Flashlight, Brainerd, MN. 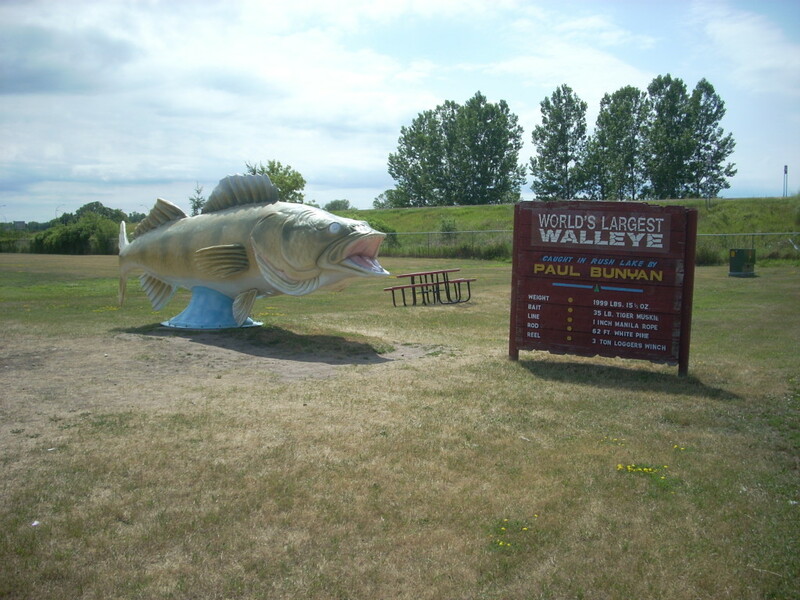 A Walleye caught by Paul Bunyan in Rush City, MN. 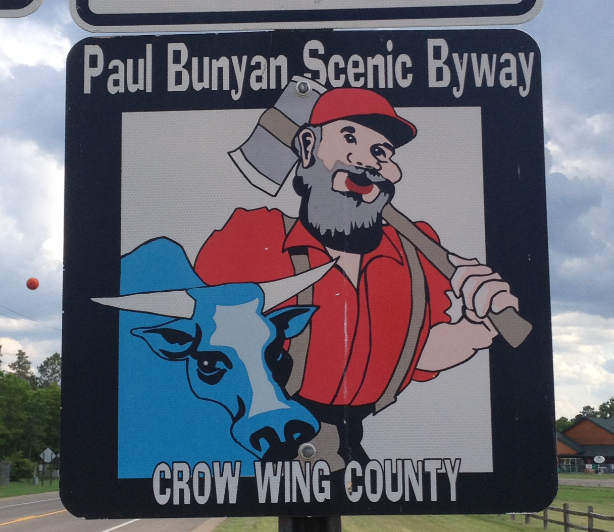 We hope you enjoyed learning about Paul Bunyan’s Stuff, all around Minnesota. 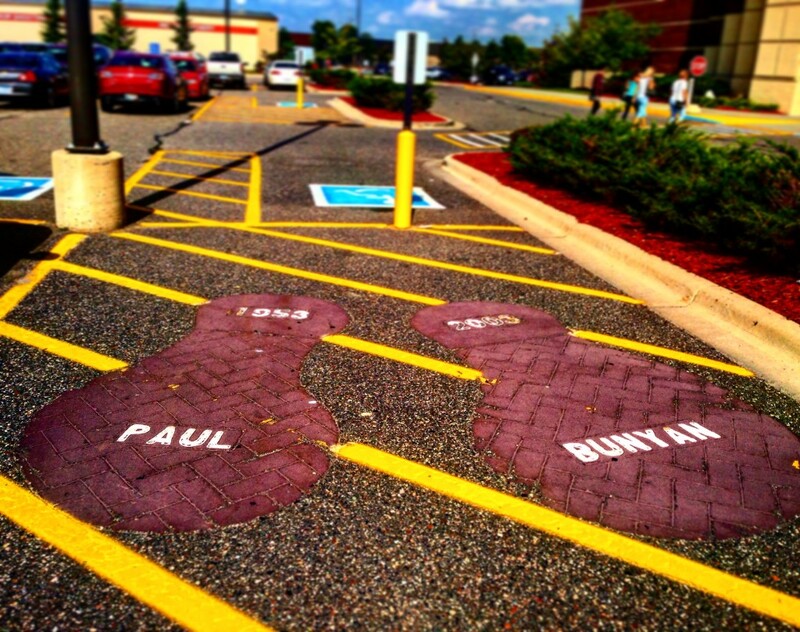 Join us next week when we wrap up our Paul Bunyan tour with a look at Paul’s friends and family! 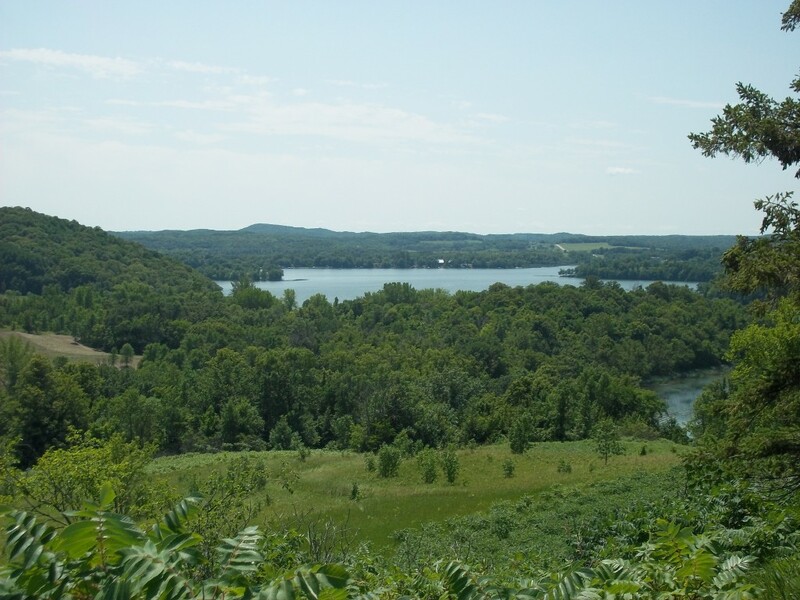 Bonus PB Fun Fact: Did you know that the 10,000 lakes of Minnesota were created by Paul and Babe’s footsteps while they were lost in a blizzard?